UACED realizes the importance of arts, culture and history , its preservation and the strength it has in drawing visitors to our region as immersive tourism. Staff works throughout the state of Alabama to enhance, grow and share the stories of our communities. ALABAMA 200, a commemoration of the anniversary of Alabama’s statehood, will take place between January 2017 and December 2019. In 1817, Alabama became a territory and on December 14, 1819, Alabama became the nation’s twenty-second state, the day after Tuscaloosa was incorporated as a town. Since the beginning of its statehood, Alabama has experienced a rich and complex history. ALABAMA 200 seeks to provide enriching experiences to discover, explore, preserve and share the stories of Alabamians. UACED will assist Alabama 200 with its mission to support, create, and execute events and activities that commemorate the stories of our people, place, and path to statehood. 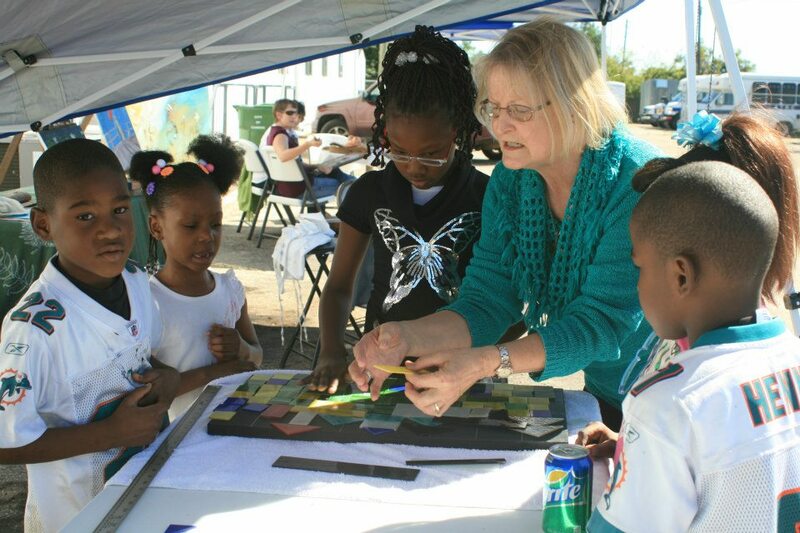 Between 2017 and 2019, ALABAMA 200 will engage residents and visitors in educational programs, community activities, and statewide initiatives that teach, inspire, and entertain. ​UACED will be working in communities throughout the state to form Bicentennial committees and assist them in planning events and conducting research leading up to the bicentennial. The duties of a committee will vary depending on its goals and objectives, but coming together will give the community a chance to think about what it wants to accomplish. 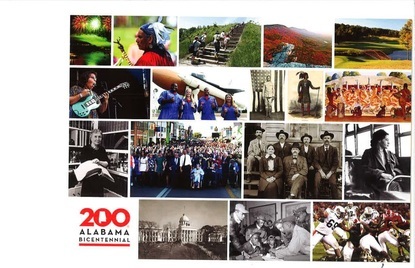 UACED has created a Bicentennial Community Resource Guide to assist all counties in Alabama to take advantage of this unique opportunity to discover and share the stories of their history with citizens and visitors alike. Bicentennial Bookshelf Program Embraces "Adventure" and "Alabama"
​As part of the three-year (2017 – 2019) celebration of Alabama’s 200th Bicentennial birthday, The University of Alabama Center for Economic Development (UACED), The University of Alabama School of Library and Information Studies and the Alabama Cooperative Extension System (ACES) join forces to roll-out the Bicentennial Bookshelf program in early September to schools within the Alabama Blackbelt. ALABAMA 200 will engage residents and visitors in educational programs, community activities, and statewide initiatives that teach, inspire, and entertain. Each of the three years of celebration has a theme, 2017 Exploring Our Places, 2018 Honoring Our People and 2019 Sharing Our Stories. The ultimate goal is to improve the quality of life in rural communities. The three entities strive to help people and communities to improve their quality of life and economic well-being. This new and exciting reading project is a collection of 13 books that are written about Alabama or by authors born and raised in Alabama. Many of the authors are award-winning “Southern” authors that share the passion of writing for children. The books target middle school aged students to experience and explore Alabama. Sets of books will be placed in the libraries of schools within the thirteen counties that make up the Black Belt region by early September. This region includes: Bullock, Butler, Choctaw, Dallas, Greene, Hale, Lowndes, Macon, Marengo, Perry, Pickens, Sumter and Wilcox Counties. Alabama that includes unexpected adventure, mystery and suspense as well as some of the authors’ own childhood experiences while growing up in rural Alabama! Today, Alabama's Black Belt includes some of the poorest counties in the United States. Along with high rates of poverty, declining populations and high unemployment, poor access to educational resources is a major concern for the future of K-12 students in this region. Together, UACED, The University of Alabama School of Library and Information Studies and ACES’ joint efforts will help to make a difference in the lives of countless young people within these 13 counties. For more information about the book campaign please contact Candace Johnson at 205-348-8338 or Candace.C.Johnson@ua.edu. UACED assisted the April 1865 Society, Inc., sponsoring organization of the annual Battle of Selma and historic marker project, in securing funds for out of state advertising as well as general planning for the 150th anniversary of their event. With this advertising grant, The 150th Battle of Selma desires to expand outreach to: educational facilities through Living History School Tours; the literary arts through a Civil War Writer’s Forum; historians and tourists through the Civil War Memorial Service at historic Old Live Oak Cemetery; to re-enacts via increased infantry, cavalry, and artillery tactics during the battles. Assistance was also provided in the promotion of the historic marker trail, which involved three years of planning as the markers are perhaps the most interactive and technically advanced in the State, with a QR code that when scanned, will take the viewer to a video and narration by a Selma citizen on the subject matter. The historic markers include QR codes, video, local narration, & map technology which makes it one of the most advanced historic marker designs in the state. The April 1865 Society unveiled the second in a series of historic markers in front of the St. James Hotel. 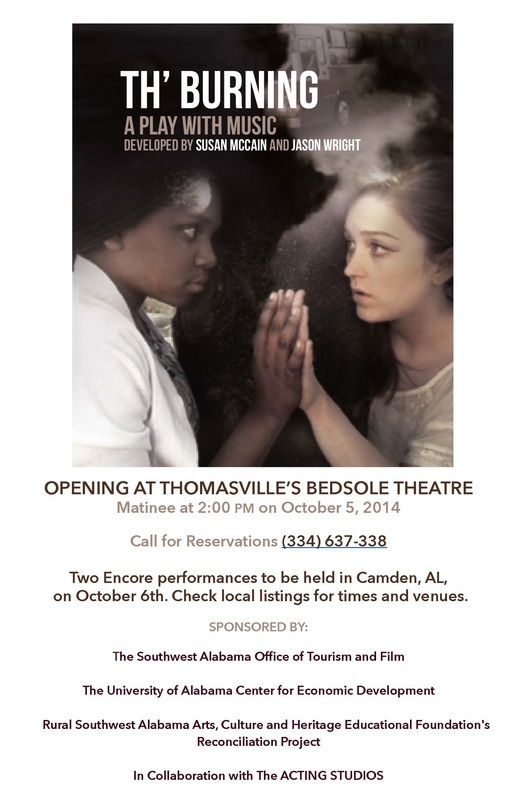 recognition for local artists and a vital contribution for the tourism industry in Wilcox County, Alabama. The organization was started with the objective to stimulate the economy in Alabama’s Black Belt region through the sale and promotion of fine arts and heritage crafts, as well as the provision of arts education opportunities. It was developed as an outgrowth of a tourism initiative launched by the Alabama Tombigbee Regional Commission, Ala-Tom RC& D, and the University of Alabama Center for Economic Development. During the work to catalog assets that would be of interest to tourists throughout the region, a wealth of artistic talent was discovered; these talented men and women helped inspire the creation of the organization. In 2005, Black Belt Treasures officially opened its doors for business with just under 75 artists represented in the gallery. Currently, over 450 artists’ exhibit and sell their work in the Black Belt Treasures Cultural Arts Center. 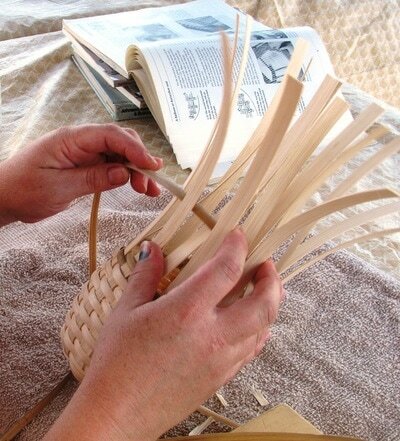 These artists are comprised of talented painters, sculptors, potters, basket-weavers, quilters, woodworkers, plus more. The BBTCAC service area includes the traditional Black Belt counties of Bullock, Choctaw, Dallas, Greene, Hale, Lowndes, Macon, Marengo, Perry, Pickens, Sumter, and Wilcox, along with Bibb, Butler, Clarke, Conecuh, Monroe, Montgomery, and Washington, with a total population of 541,489. BBTCAC has a satellite gallery located in the Greenville Chamber of Commerce (Butler County). This site draws tourist traffic from Interstate 65 and encourages travel to other points of interest in the region. Through partnerships with arts organizations, other non-profits, schools, and community organizations, BBTCAC presents arts and cultural programs to educate a broader sector of the population on the artistic culture and heritage of Alabama’s Black Belt. 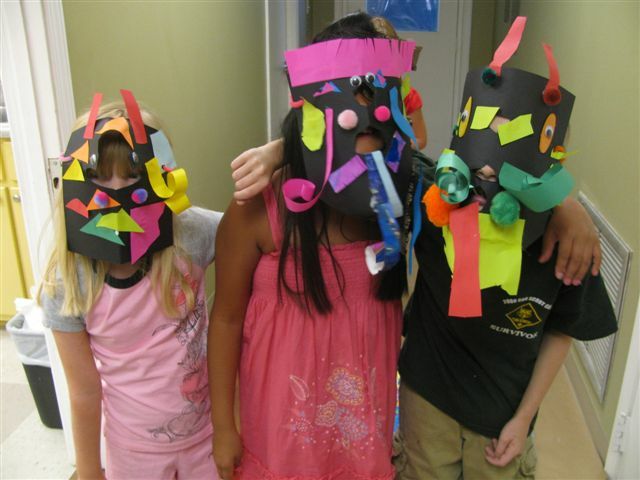 Staff and volunteers of BBTCAC frequently have the opportunity to make presentations to school groups, civic organizations, meet with community arts organizations, and provide artist demonstrations and workshops. Additionally, BBTCAC partners with art galleries and organizations with events and initiatives. Since the opening of the Center, over 100,000 visitors, from all 50 states and 27 foreign countries have visited the Gallery as part of their travels through Alabama’s Black Belt region. In addition to the cultural arts gallery and store, thousands of youth and adults have attended art classes and workshops, and even more have witnessed and learned from the inspirational stories articulated by the artists. Strategically located in Wilcox County, the heart of Alabama’s Black Belt, BBTCAC serves as the centerpiece of an arts economy revitalization involving artist development and arts education - encouraging residents and visitors to experience arts, culture and place. Through a partnership with the Tuscaloosa Tourism and Sports Commission, UACED attended Travel South Showcase in West Virginia in February to market Alabama as a tourist destination specifically for historic attractions and events. As the series of the 50th commemorative years of the Civil Rights struggle comes to a close in 2015, the interest for walking in the footsteps of history is at the top of tourists’ wish list. UACED was able to connect with over thirty tour bus operators to market Alabama, including sites where world changing history was made in Tuscaloosa, Selma, Marion, and Tuskegee. UACED also focused on civil rights by assisting the Department of Anthropology in promotion of the screening of the documentary “Stand!” This film focused on the Civil Rights movement in the area prior to Dr. King's arrival in Birmingham. Following the film screening, the filmmaker and two of the activists featured in the film were on hand for a discussion panel. This was an incredible opportunity for students, the university, and the community. UACED joined the College of Education, Department of Anthropology, and the UA Anthropology Club in bringing this film to campus. UACED worked with graphic designers promoting the Gee’s Bend Quilt Mural Trail through an 8 panel brochure. Gee’s Bend has gained significant national attention from quilts produced by women in the community since the 1960’s. A collection of these quilts was exhibited at the Houston Museum of Art before traveling to the Whitney Museums in New York City and widely throughout the United State and Europe to high acclaim, with the quilts heralded as brilliant pieces of modern art. 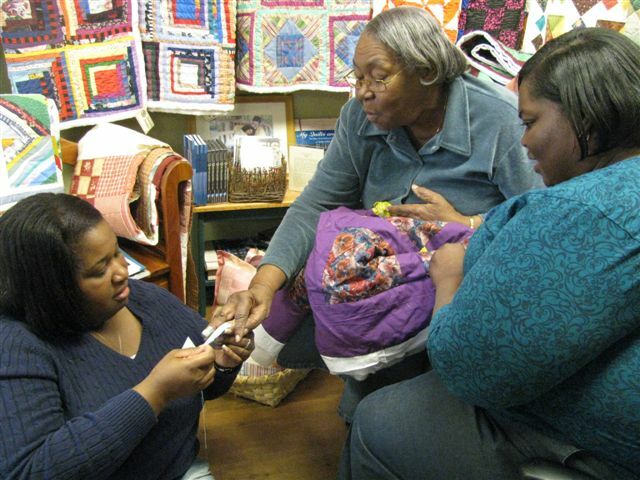 The Gee’s Bend Community has become famous for its quilts, which are now highly prized by collectors and were celebrated nationally in 2006 in a U.S. postage stamp series. The redesigned brochure was printed and distributed throughout the state. The University of Alabama’s Center for Economic Development (UACED), The Historic Chattahoochee Commission (HCC), the Chattahoochee Indian Heritage Association, and the Russell County Commission worked collectively to produce a set of three fiberglass panels, to be placed on the grounds of the Old Russell County Courthouse. The panels will interpret the central Russell County area’s pivotal role in the Second Creek War and explore the early history of the town of Seale, AL. The Creek Heritage Trail is a major new heritage tourism and history education initiative of the HCC designed to complement ongoing efforts to have the region of service designated a National Heritage Area. The trail broadly interprets how this area transitioned from Native American domain to Old South heartland, with an emphasis on the region’s rich Creek Indian culture.